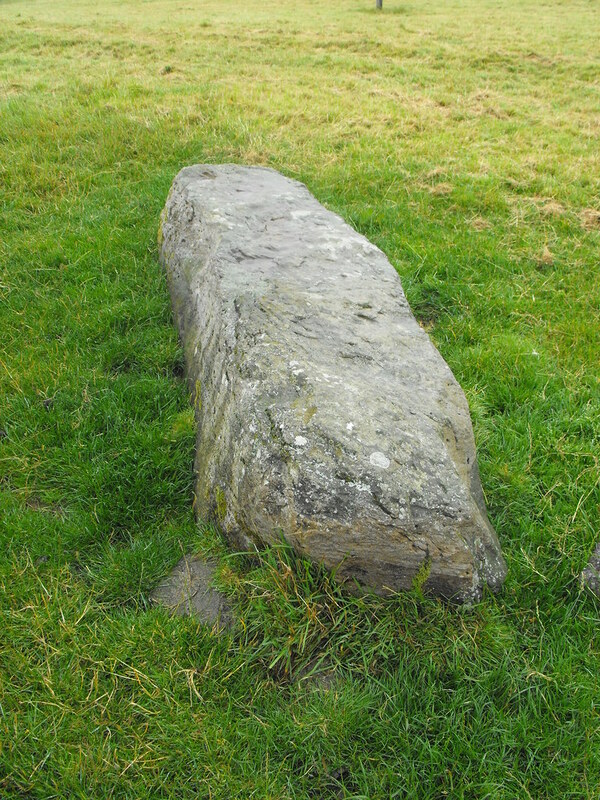 The Standing Stone: Misgaun Meva, Standing Stone, Toberrory, Co. Roscommon. 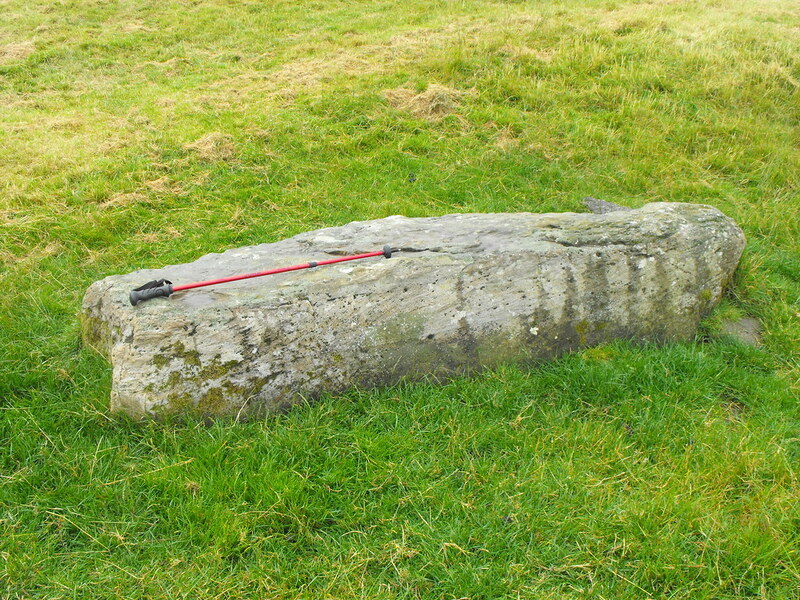 Misgaun Meva, Standing Stone, Toberrory, Co. Roscommon. Location – N of the main Rath Cruachan mound on the N5. Description and History – This stone must have been quite impressive when it stood. It is 2.78m in length and obviously wouldn’t have stood to that height but it would have been still well over 2m tall. No packing stones are visible and it is unclear which end is the top. 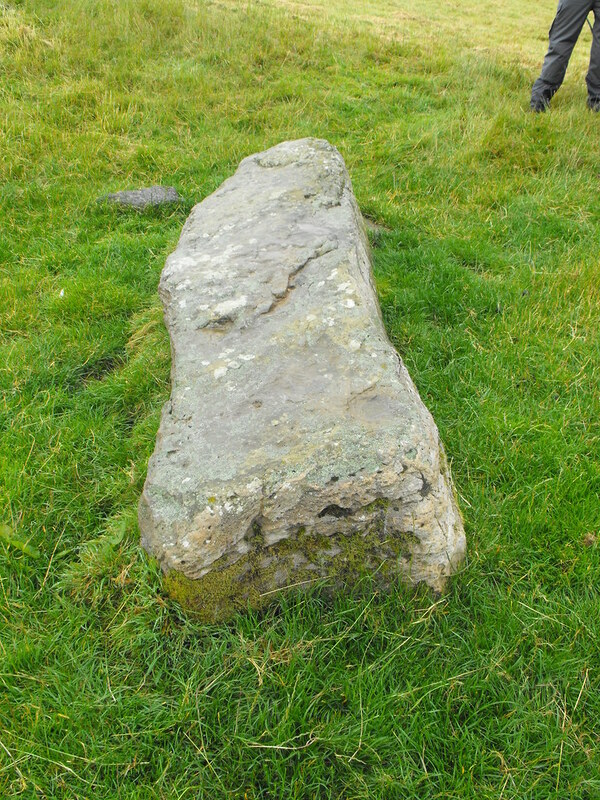 This stone probably has some connection to the Rath Cruachan mound. Difficulty – Easy to find and spot. The walking stick is 1m long...for scale.